To achieve the length, this timeless design is in two pieces. 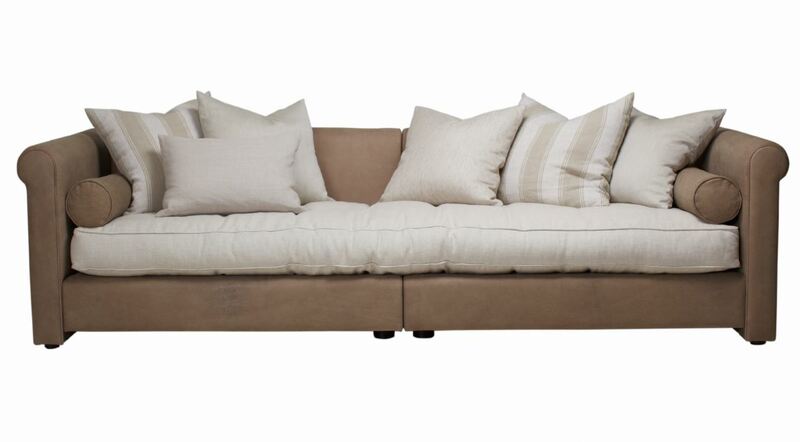 With a contemporary one piece feather wrap seat cushion, this settee is divinely deep, ideal to curl up in. With luscious scatter cushions that mould with your body. Simply a piece to enjoy.